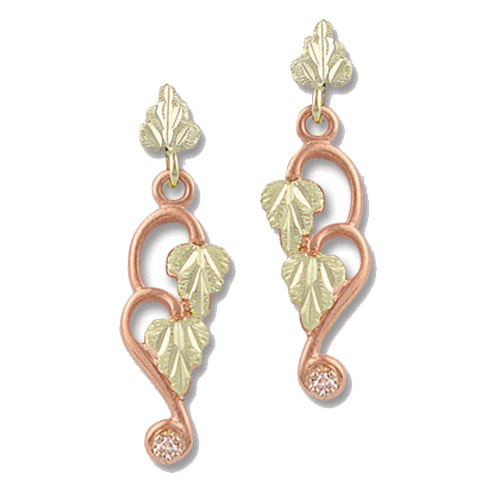 Desc: Landstrom's Black Hills Gold Rose Gold leaf dangle earrings. The diamond is mounted at the base of the dangle earrings. Green gold leaves mounted around the earrings. Made in the United States of America.